Whether it's by honouring our food on international stages or defending our dishes against imitations that don't quite do it justice, we're never too shy to showcase our love for local food. So why not wear it? 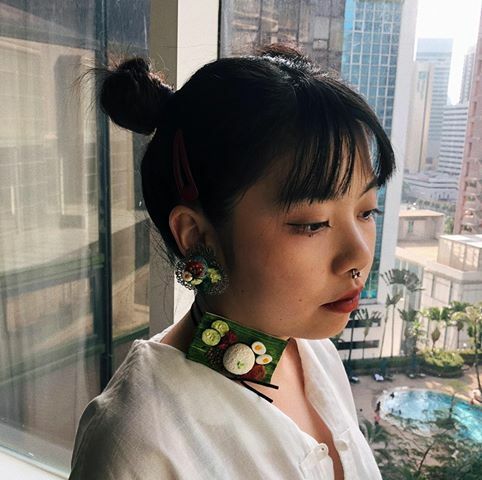 Inspired by two of Malaysia's most popular delicacies, chicken rice and nasi lemak, Penang jewellery designer Kelly Lee has created a line of drool-worthy accessories made of paper clay. 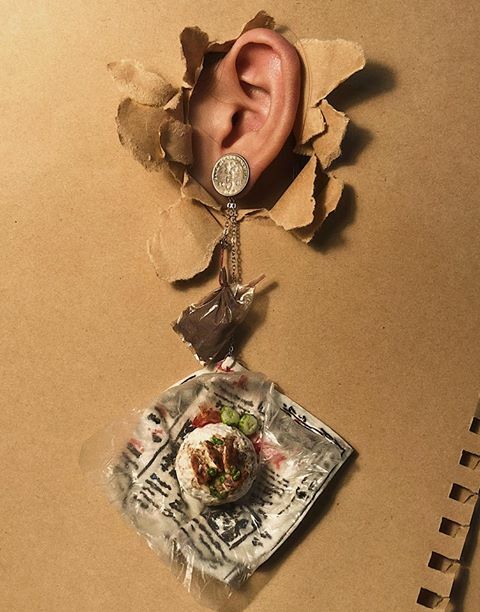 From the newspaper wrapping and chicken, to the chives and sauces, the attention to detail in this piece of jewellery is next level impressive. As if the complete meal wasn't Malaysian enough, the earrings also feature five sen coins! If you're craving these earrings and have RM90 to spend, you can place an order on Kelly's Facebook page. 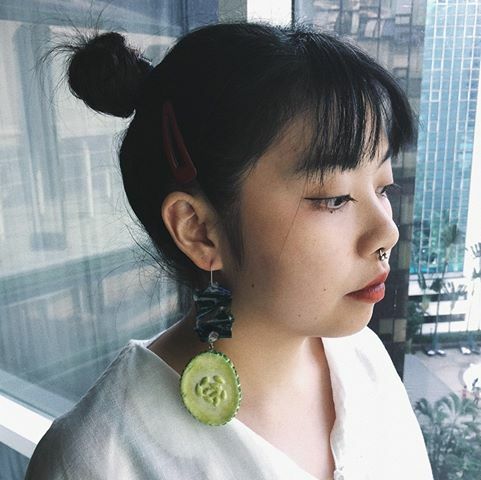 Complete with nasi lemak essentials such as sambal, peanuts, anchovies, cucumbers, and an egg, the stud earrings are slightly subtler than Kelly's chicken rice piece. 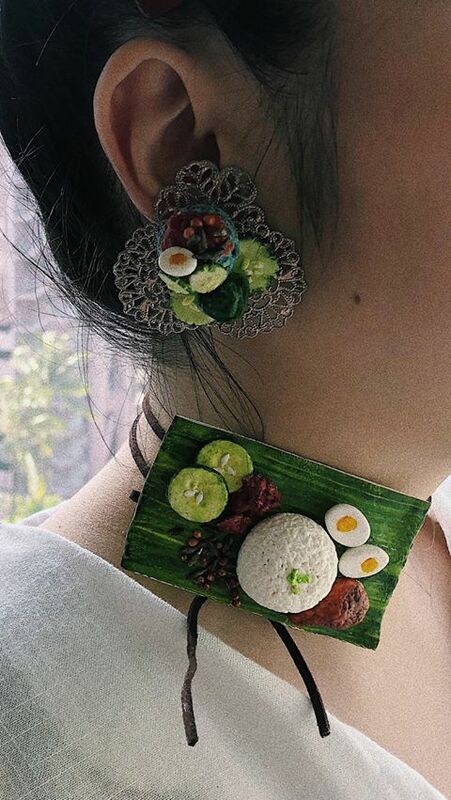 However, her bold nasi lemak choker, which also includes a piece of fried chicken and a banana leaf, is sure to turn heads. 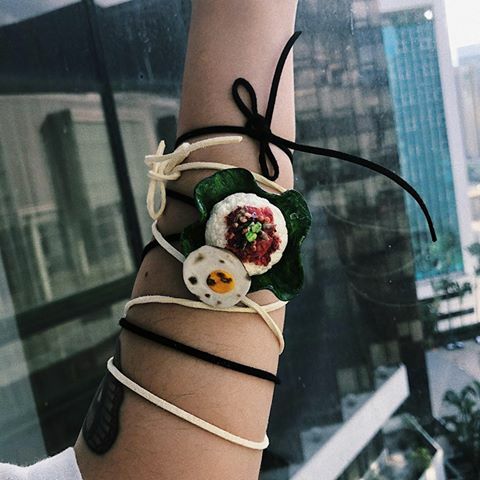 If you'd rather sport the iconic dish on your wrist instead, the designer also has nasi lemak bracelets for sale. The earrings are sold at RM80, while the choker costs RM70 and the bracelet is RM50. Not feeling like accessorising with a whole meal? 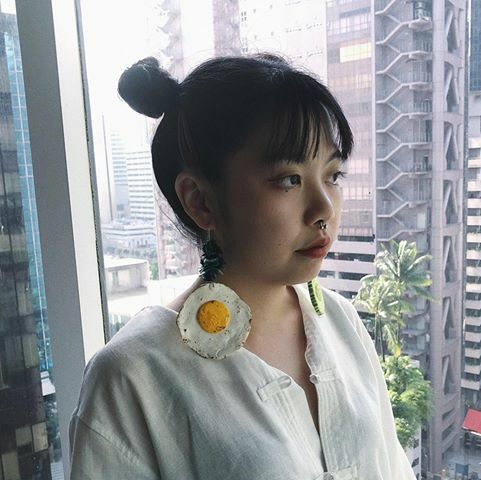 The artist has also designed a telur mata and timun pair of earrings! These earrings will cost you RM80. Is your stomach rumbling too right now? So cute but just don't eat. Nasi Lemak Lobster with creamy butter sauce, yum! Why? 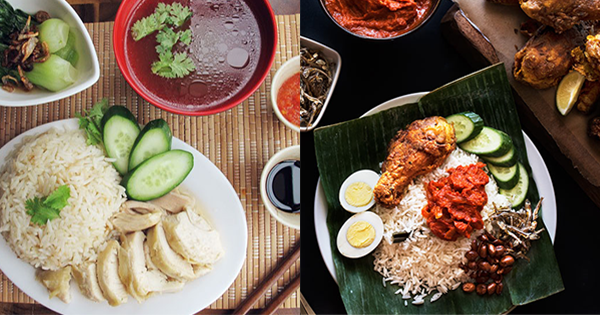 Because nasi lemak unites us all.